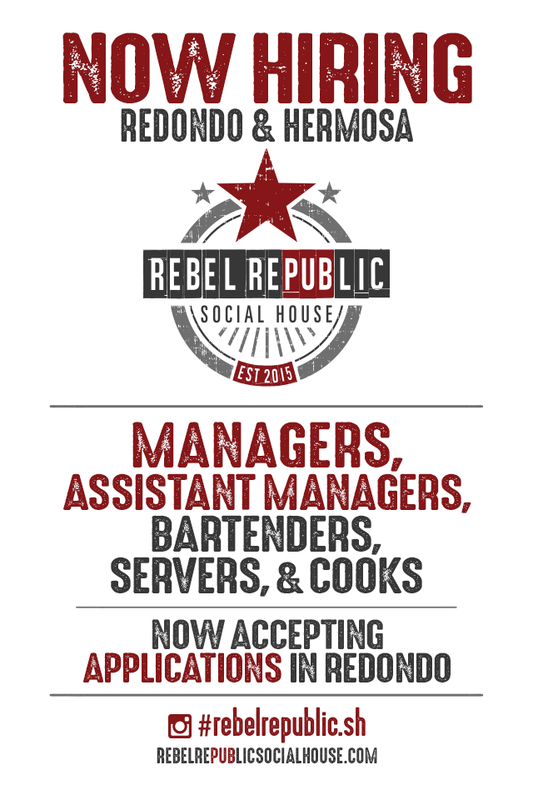 REBEL REPUBLIC IS NOW HIRING! We are looking to hire MANAGERS, ASSISTANT MANAGERS, BARTENDERS, SERVERS, & COOKS for our Redondo & Hermosa locations. Please download our application, fill it out & bring it to our Redondo Beach location at 1710 S. Catalina Ave.